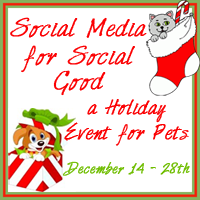 Social Media for Social Good ~ A Holiday Event for Pets Registration is Open! To enter please visit Two Little Cavaliers. The chip-in widget is in the right sidebar.